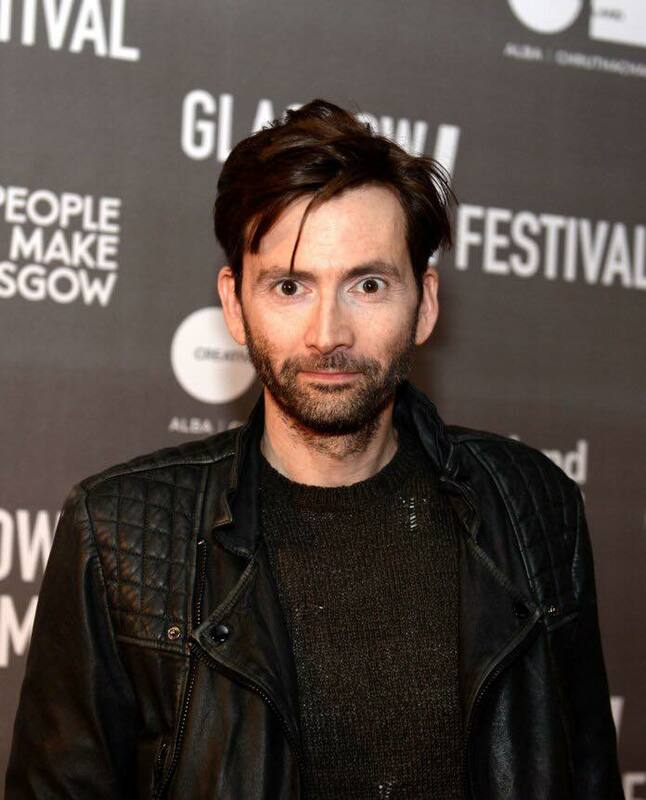 David Tennant attended the world premiere of his movie Mad To Be Normal as it closed the 13th annual Glasgow Film Festival. The prestigious event was at Glasgow Film Theatre. David Tennant and co-star Elisabeth Moss appeared on the red carpet together with Mad To Be Normal's director Robert Mullen. Prior to that David and Robert Mullen gave several interviews to the media in the afternoon. Mad To Be Normal screened simultaneously in Cinemas 1, 2 and 3 in the Glasgow Film Theatre. All tickets for the event sold out in 16 minutes! Glasgow Film Festival is an annual film festival based in Glasgow, Scotland and it is one of the leading UK film festivals. The festival began in 2006. This year it opened on 15th February with a screening of Handsome Devil. An after-party following the screening was held at The Centre For Contemporary Arts. In Mad To Be Normal David Tennant plays the real-life Scottish psychiatrist R.D. Laing who was seen as a mental health pioneer specialising in psychosis. Link to posts related to David Tennant at the Mad To Be Normal premiere on Blogger.com (usually with more details). Tickets to see David Tennant at the world premiere of Mad To Be Normal at the Glasgow Film Festival sold out today across 3 cinemas in 20 minutes! Tickets go on sale today to see David Tennant at the world premiere of Mad To Be Normal at the Glasgow Film Festival.